This salad is perfect for taking to work for lunch. You can eat it right from the container with just a fork so it’s an ideal at-your-desk meal. It’s fresh, tasty and very filling because it’s loaded with protein and fiber. I make up a batch on Sunday so I can eat it for the next few days. It’s especially good for the days I go for a run because the slow releasing carbs give me lots of energy. 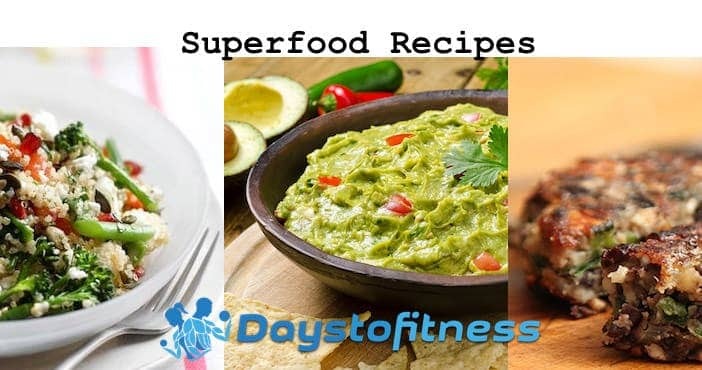 More tips and ideas to enjoy superfoods benefits on your diet, all in my guide “My Superfoods“. Cook the quinoa according to the instructions – normally 15-20 minutes. Drain and leave to cool in a large mixing bowl. Cut the broccoli bite-size pieces and lightly steam or boil until just tender – around five minutes. Leave to cool. Lightly toast the pumpkin seeds in a hot pan until they are slightly crunchy. Remove from the pan and leave to cool. Stir together the quinoa, broccoli and pumpkin seeds along with the feta, pomegranate seeds, herbs, tomato, spring onions, olive oil and lemon juice. Season if required with a little salt and black pepper. Combine all the remaining ingredients and either serve straight away or store in the fridge. Next Article Who are Superfoods Good For ? 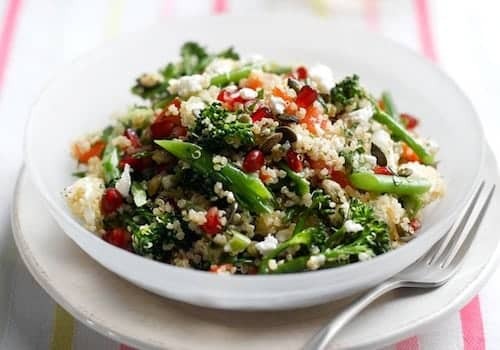 Can you share nutritional facts for The Quinoa, Feta & Broccoli Salad?